1: Always display the highest degree of respect to your Sabumnim. 2: Always bow before and after speaking to your Sabumnim. 3: When adjusting your Do Bok (uniform) do not face your Sabumnim. 4: When entering or leaving the training area bow to your Sabumnim and to the flags. 5: If you arrive at class late, wait to be recognized by Sabumnim. 6: During class you must gain permission from Sabumnim prior to leaving training area. 7: Strict attention to be given to Sabumnim at all times. 8: Proper respect will be displayed to all higher ranking belts. 9: Never misuse your art. 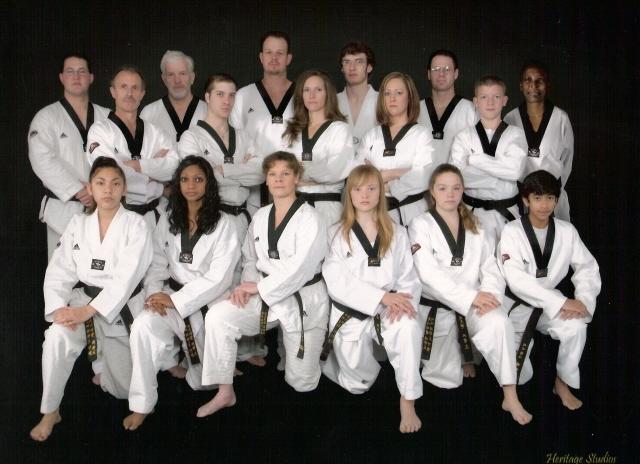 Tae Kwon Do should not be used outside the Do Jang, except in circumstances that require defense or the defense of others. 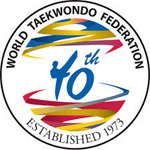 1: Free-Sparring without the supervision or permission of Sabumnim is prohibited. 2: Remove all jewelry prior to class. 3: Students shall obtain and wear appropriate safety equipment when necessary. 4: Keep your fingers and toe nails trimmed closely. 5: No horseplay in the Do Jang. Please stretch or practice your techniques. 1: Profanity, loss of temper, or any display or lack of self discipline will not be tolerated. 2: No smoking or chewing gum inside the Do Jang. 3: No lounging on the floor or against the walls. 4: Remove shoes upon entering the Do Jang. 5: Keep your Do Bok (uniform) clean. 6: Help keep your Do Jang clean. 1: All BLACK BELTS must attend all PROMOTION TESTS. 2: All students will wear your Do Bok (uniform) at all PROMOTION TESTS.